ROSLANE MEDITECH are eminent Indian Exporters of Cam Vision Stimulator. Quality Cam Vision Stimulator at most affordable price, as per buyer�s need. � For treatment of Lazy / Amblyopic eye. � Based on the concept of active and controlled stimulation. � All day passive occulusion replaced by seven-minute active stimulation. 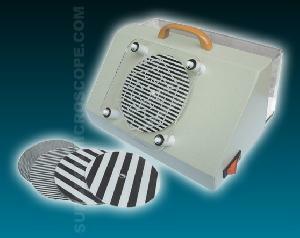 � Compact, portable model which can be given to the patient saving time and helping in regular exercise. � Size : 21 x 14 x 11 cm. � Weight : 1 Kg. � Slide Size : 10.5 cm.